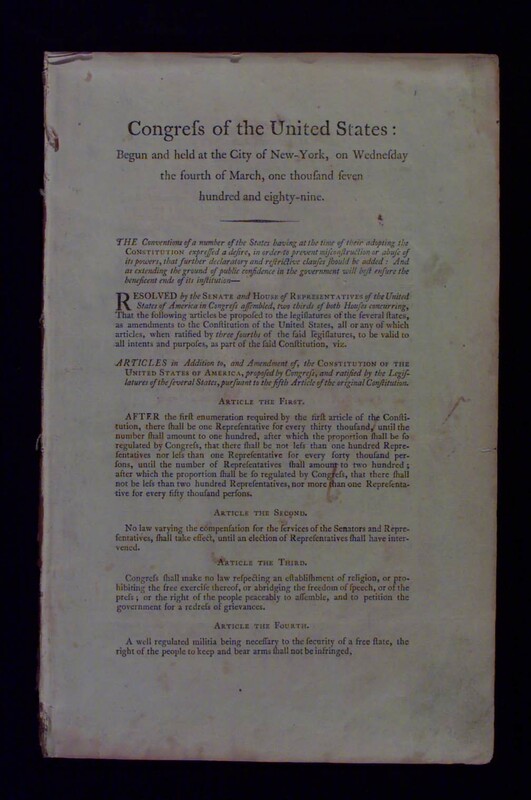 KF4743.5 1792 "Congress of the United States: begun and held at the city of New-York, on Wednesday the fourth of March, one thousand seven hundred and eighty-nine. The conventions of a number of the states having at the time of their adopting the Constitution expressed a desire ... that further declaratory and restrictive clauses should be added ... 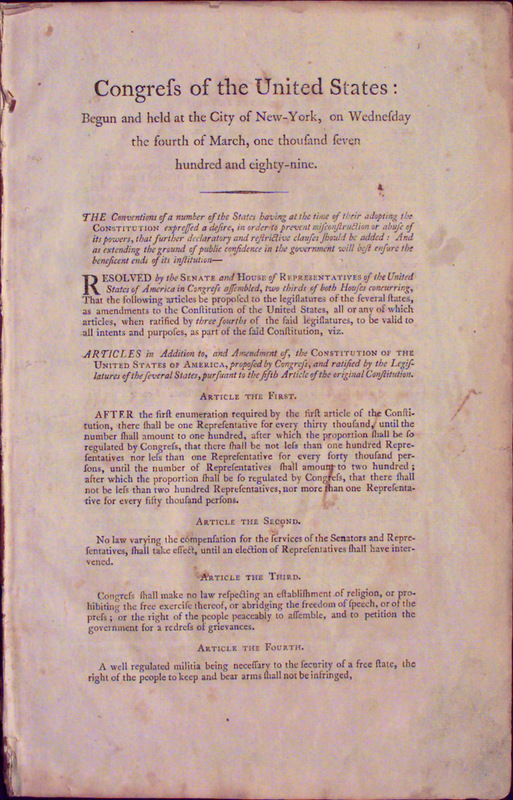 Resolved ... that the following articles be proposed to the legislatures of the several states, as amendments to the Constitution ..."